Finally, I have stopped waiting. The perfect story, the perfect timing, the perfect writing desk or journal or blog theme or pen… they don’t exist. The trick, according to Whitman, is to just write and so, I am. I hope Winter Farm Writes will help me exercise my story-telling muscles again. I imagine the posts as rough sketches in which I can write about anything or about nothing, about the profound or the mundane, just so long as I keep writing. Get ready. Get set. Get writing. After a quick debate in my mind about the dangers of opening the front door, I carefully turned the handle and ever so slowly eased myself onto the front porch, careful not to let a single sound destroy the miracle of 2 small children napping simultaneously in their beds. Waking them would result in curses under my breath and in tired, needy children. Feeling rather tired and needy myself, I was hoping to make it out to the barn to let our chickens out of their coop before the heavy rains that had fallen all morning returned. 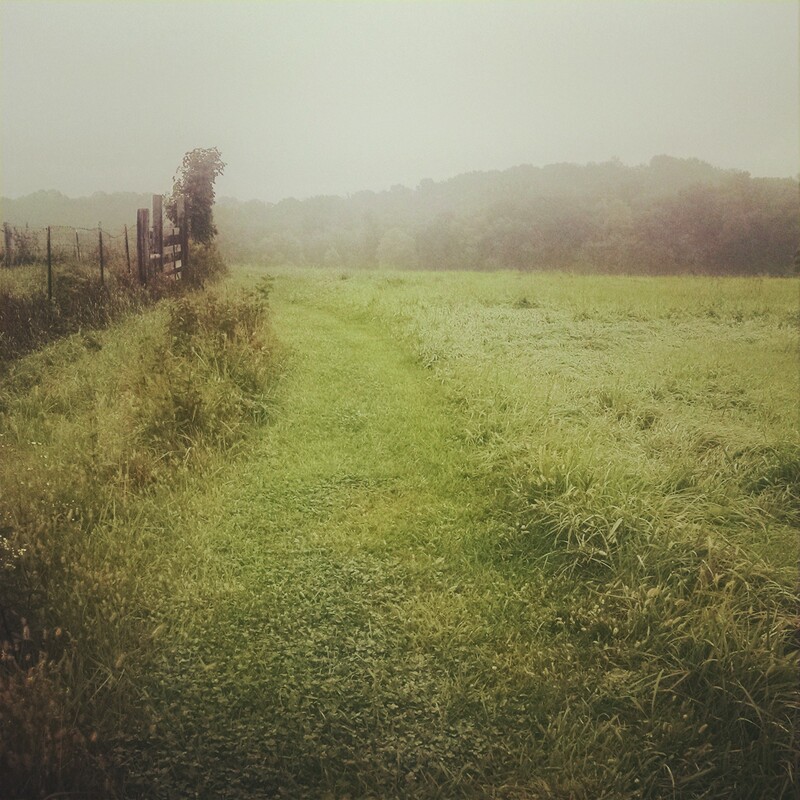 A little time outside always helped me shake my mid-afternoon slump in energy and mood and as I walked the wet, grassy path to our barn, I could feel the clouds lift from my mind. After the morning’s downpour, the ground outside the coop door sounded like a sponge underneath my feet. Hearing my waterlogged approach, the chickens crowded around the door while I unscrewed the bolt that keeps them safe each night from raccoons and bobcats, coyotes and stray dogs. 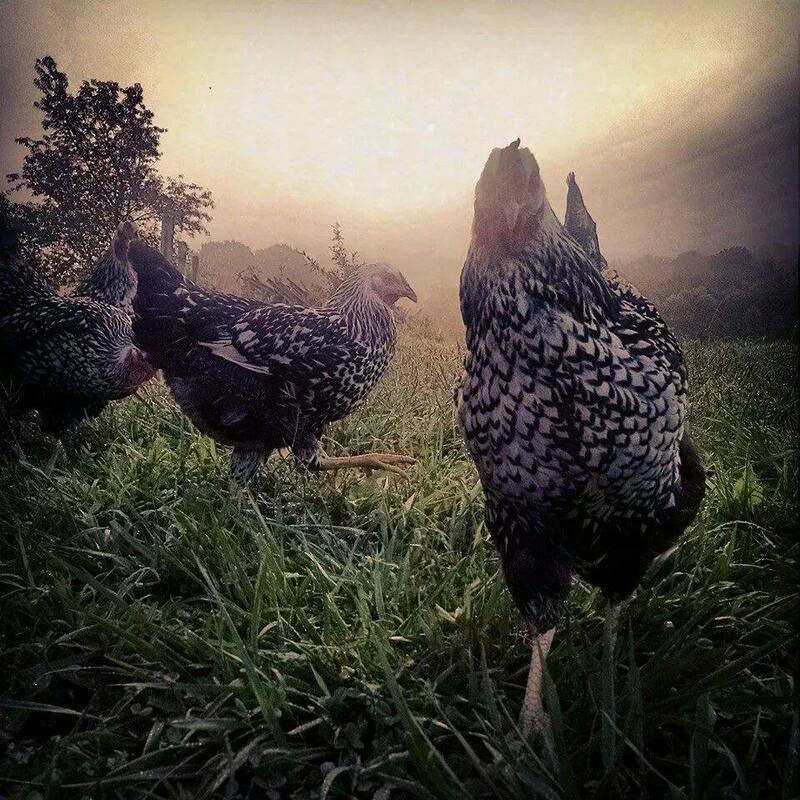 If you’ve never watched a chicken released from its coop onto fresh grass, you are missing out. 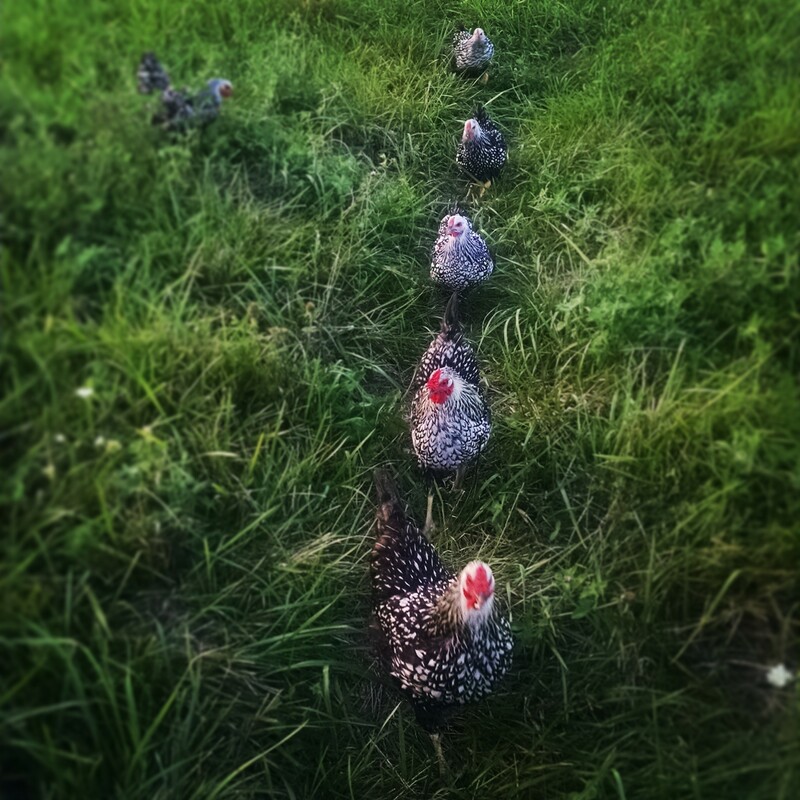 They run and skip and dive in every direction, fanning out over the pasture in pursuit of fleeing crickets and startled moths. Discovering the pile of windfall pears I’d dumped nearby, one chicken started clucking and cooing approvingly, immediately attracting the attention of her sisters. They came running, each one greedily pecking at pieces of bruised fruit and at one another in her excitement for the sweet treat. They looked just like a pack of kids scrambling for candy under a broken piñata. Eventually, the dominant hens assert their claim over the pile and the others spread out in search of other options. Our chickens have not been laying well lately. 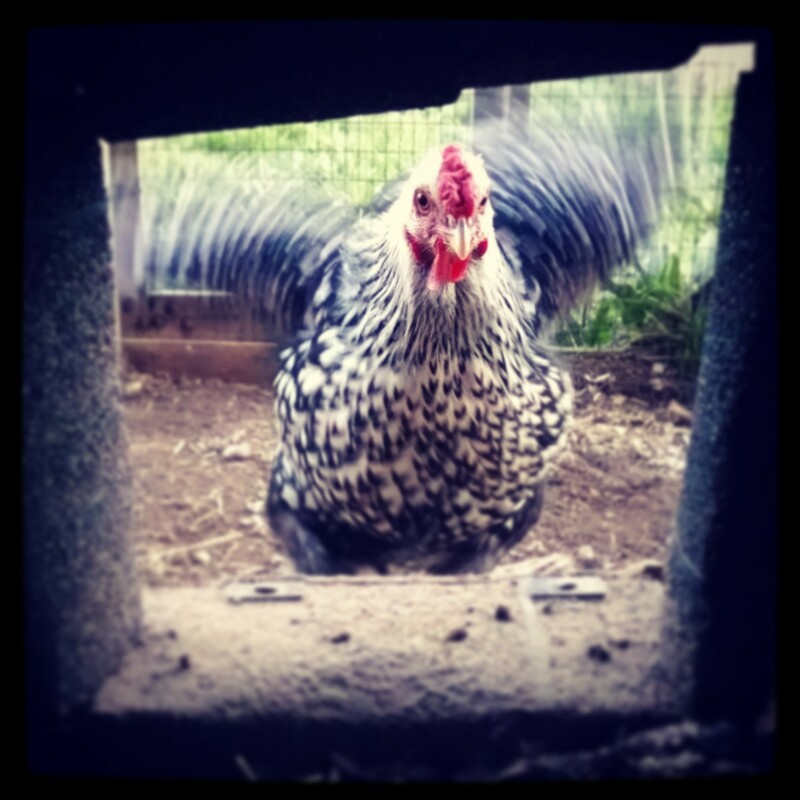 We recently rearranged their coop and moved their nesting boxes which, we assume, had unsettled them a bit. Chickens are easily flustered. Whatever the cause, we were barely getting enough eggs for our 2 paying customers, both coworkers of my husband. It had gotten so bad, that we no longer had enough eggs for ourselves and I had, with great frustration, broken down and bought a dozen eggs from the store. Buying eggs when we have 20 perfectly good laying hens in the barn felt a bit ridiculous, not to mention expensive. I decided to look around the barn again in case I had missed some hidden stash of eggs previously. 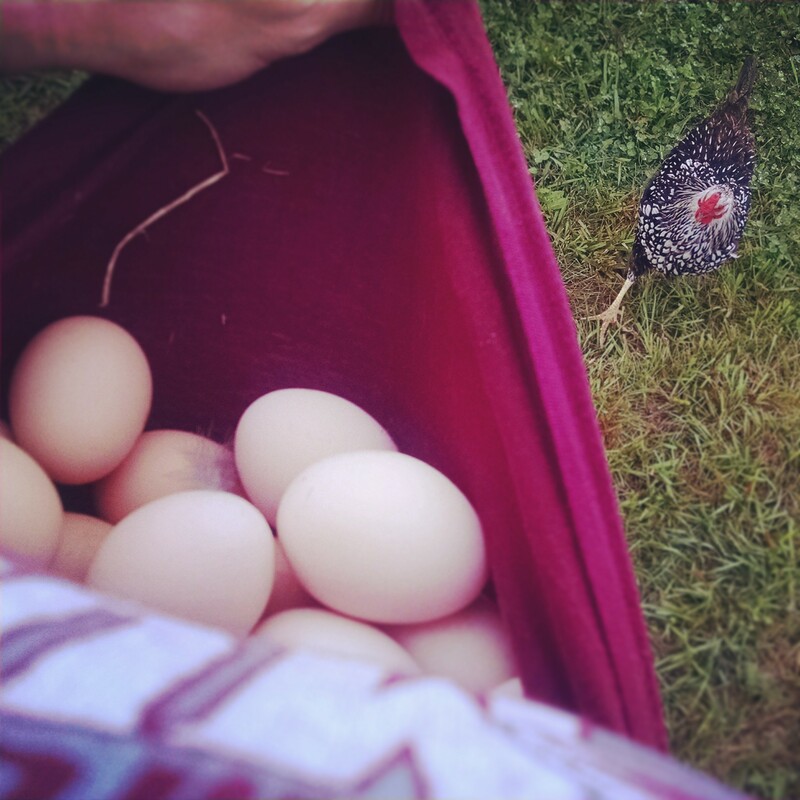 Afterall, free range chickens are notorious for building nests in odd places. Right away, I spotted a cache of 5 eggs in a dark corner of the coop, covered almost completely in leaves and straw. Encouraged by my find, I started searching other dark and hard-to-reach places in our small barn. 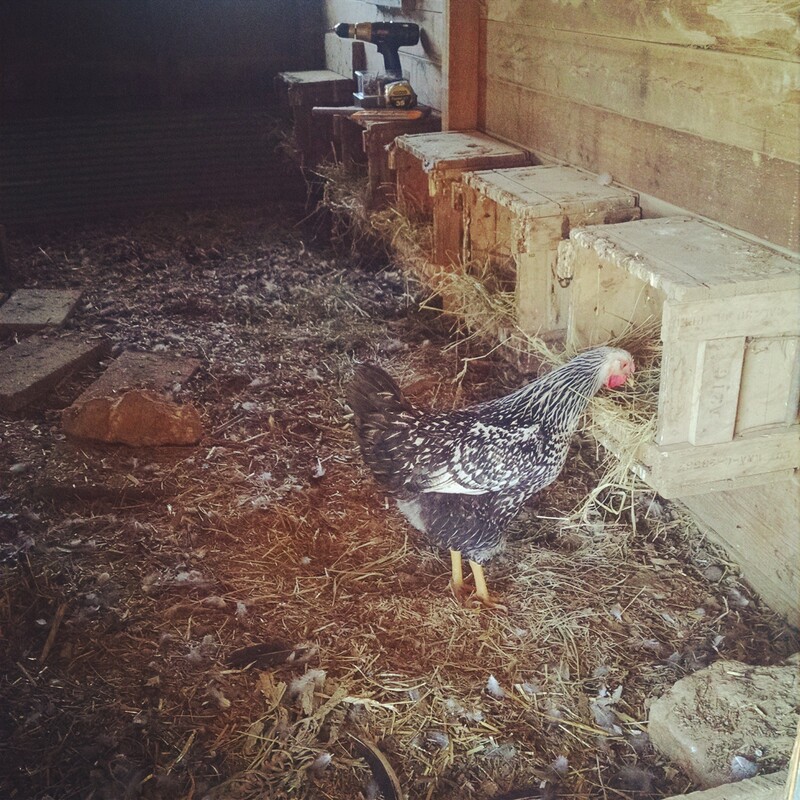 Three eggs lay hidden between the barn wall and a pile of old lumber. Four eggs were buried deep in a pile of hay behind the plow. And finally, two more were nestled in the dust below the garden tools. Fourteen eggs in all. 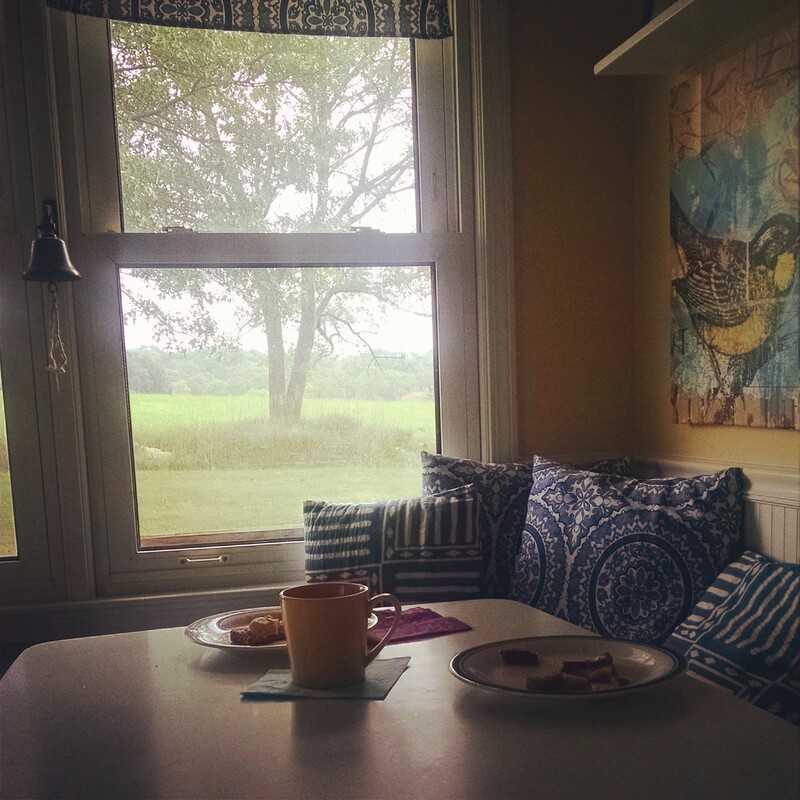 Returning to the house as the clouds started to gather again, I slipped quietly back inside the front door and, holding my breath, listened for the sound of one or both children awake from their naps. Sweet, sweet silence greeted me. I put the eggs in the refrigerator and made a pot of coffee, my second for the day, to give me a quick lift before heading into the afternoon’s activities: laundry, putting away toys from the morning’s chaos, and then more laundry. But tonight, dinner would not be the troubling question mark it often is. Tonight, we would have eggs. Oh did I enjoy that! I love living vicariously through your farm! Beautiful writing! I really enjoyed it! Thank you, 2boys1homestead. Very kind of you!